At the heart of the master planned community of Wallis Ranch in Dublin, Ivy Oak features three exceptionally designed open floorplans, ranging from 3,016 – 3,359 square feet, with 4 – 6 bedrooms and 3.5 – 4 bathrooms. 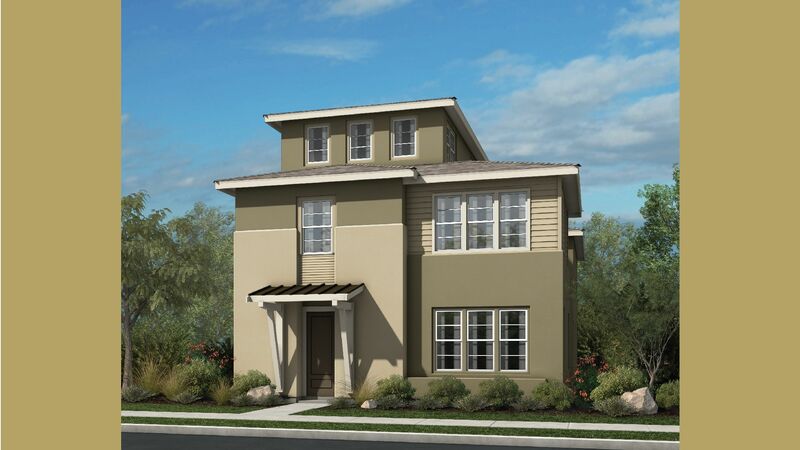 Just across the street from the community center and front row to a greenbelt, these three-story single-family homes will deliver side courtyards, great rooms, lofts, first-floor bedrooms and bonus rooms as well as flexible options to match any style or lifestyle. With a contemporary farmhouse mix, homes offer energy-efficient features and amenities designed for comfort. Residents of Ivy Oak will enjoy the benefits of living within the vibrant master planned community of Wallis Ranch with amenities all within reach. Whether it be relaxation at the pool and clubhouse, spending time at the outdoor terrace, perfect for picnicking and taking in the atmosphere, or focusing on physical well-being at the fitness center, there are limitless ways to experience this community. Getting to and from your new home is easy with convenient access to freeways, the Dublin/Pleasanton BART station and the Altamont Commuter Express (ACE) train. Ivy Oak’s prime location makes it effortless to enjoy all that the Bay Area has to offer. There are many choices for dining, shopping, recreation and entertainment. The Stoneridge Mall and Hacienda Crossings Shopping Center are just minutes away as is Fallon Sports Park and the weekly Dublin Farmers Market. Take a day trip to San Francisco to catch the Giants baseball team at AT&T Park, wine taste in Livermore Valley or enjoy a peaceful hike on Mt. Diablo. Sign up for updates and receive the latest news regarding grand opening, sales release date, pricing, and announcements for this community. Join the Ivy Oak interest list today!